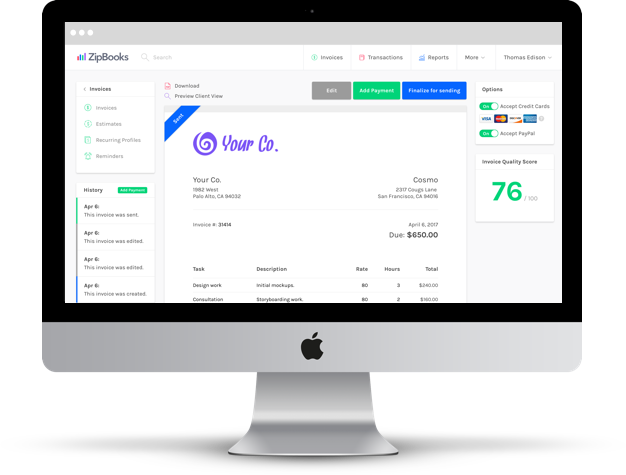 ZipBooks is the best online invoice creator available. It is also packaged with free software that can keep track of time, projects, estimates, and receipts. When it comes to invoicing, enjoy the whole package when you sign up today. 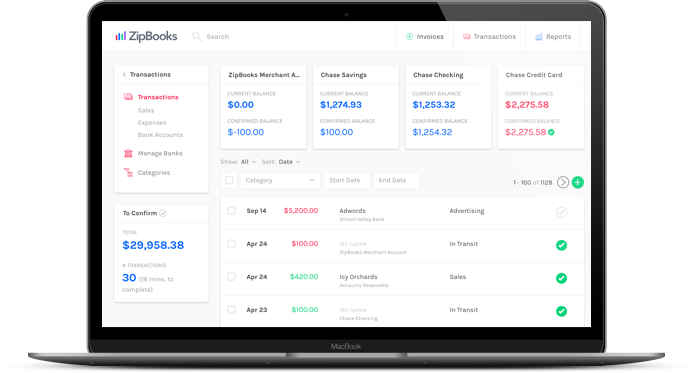 ZipBooks, the free FreshBooks alternative, is more than an online invoice maker. 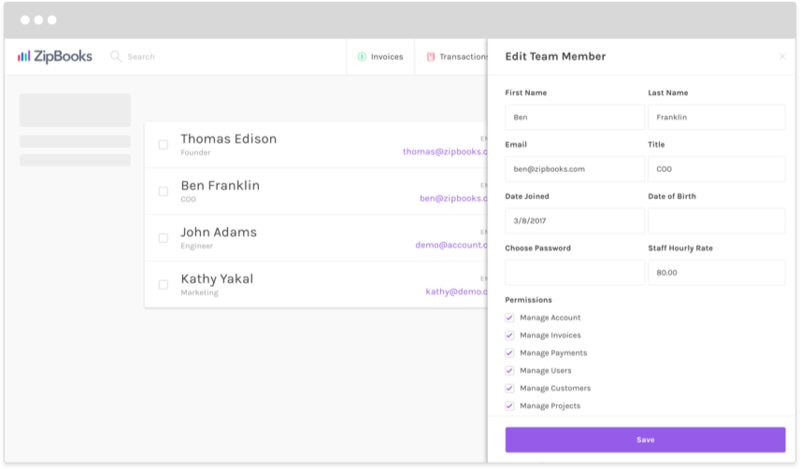 Once you’ve signed up, you can enjoy free time tracking, project tracking, and client and team member profile storage. All these features can help you keep track of your business as you go. For example, launch the time tracker to time exactly when you start and stop a project. Later, when you’re billing a client, include the time you tracked under the project you completed for them. Your client will appreciate a clean, organized record of what you completed. They'll trust you, and they’ll want to hire you in the future. 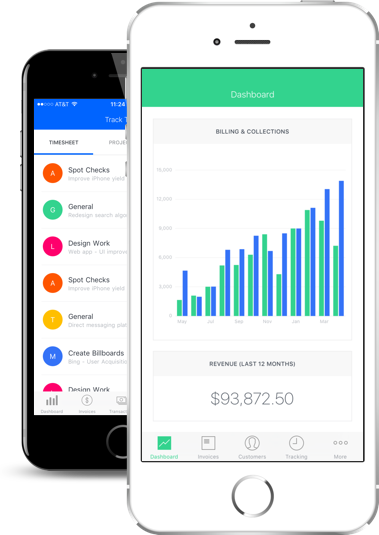 Logging into an online invoice creator from your mobile or smart phone can change the way you invoice. Forget sitting at the office at the end of the day, trying to remember what you did and how you’re going to invoice a client. 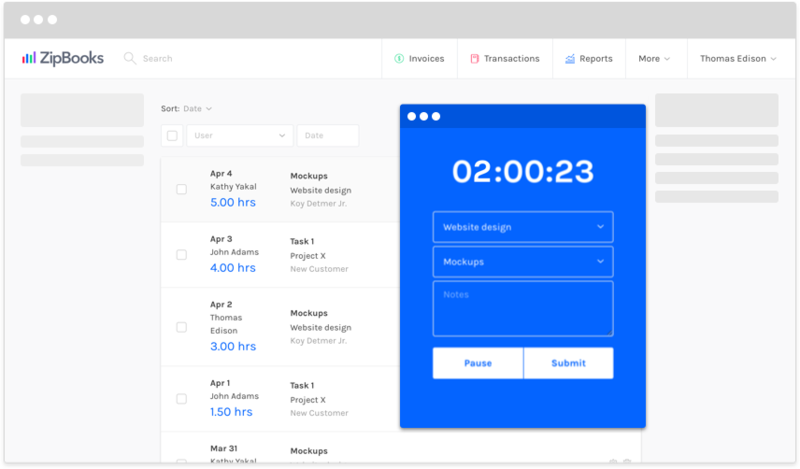 Use ZipBooks to invoice a client while you’re still meeting with them. And keep track of the details from your phone throughout the day. There’s nothing like having anywhere-access to the office, whether you’re at home, at work, at a project site, or on the go. 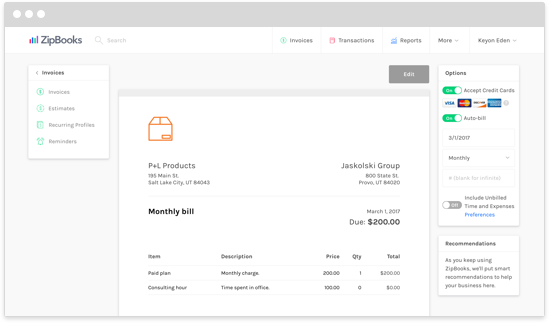 Invoice anywhere with this free QuickBooks alternative. You deserve a break every once in a while. As a business owner, you probably bite off a lot more than you can chew. Let ZipBooks do the remembering, while you take a break and review your cash flows from our interactive charts and graphs. 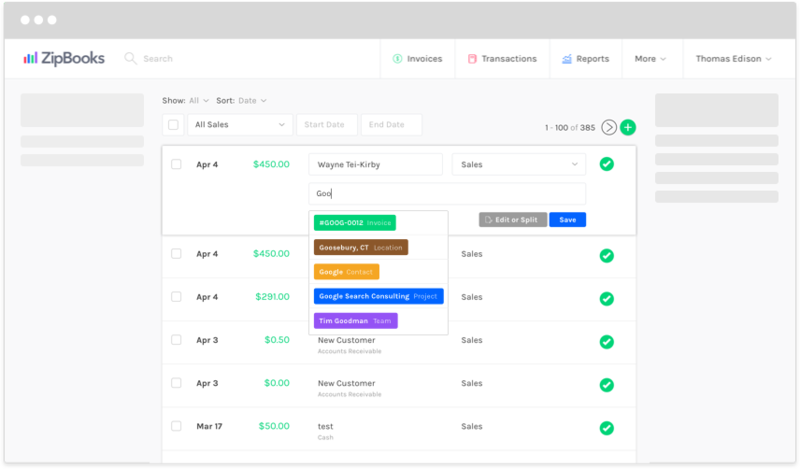 All you need to do is store sent invoices, estimates, and client profiles throughout the workday. Free accounting software for Mac has never been more accommodating, because we don’t charge you for storage. Add as many client and team member profiles as you like. Keep growing your business, and ZipBooks will assist you the whole way. Enjoy the move from the office to the cloud, with protection from physical loss, theft, and hard drive failure. And with 256-bit SSL encryption, we've got security covered. 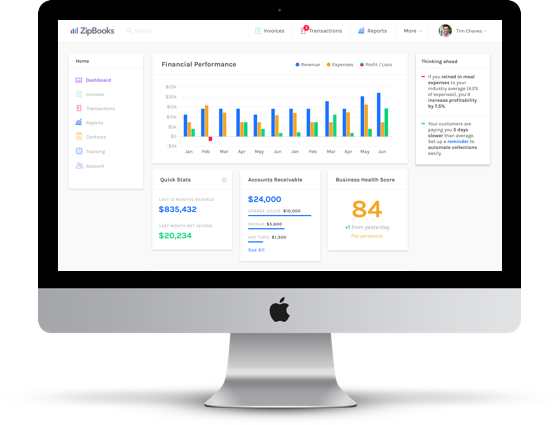 ZipBooks' primary goal is to get business owners like you paid faster. If there's anything we can do to get money into your account, we'll do it. Sign up for ZipBooks and get paid today. Don't worry about monthly or hidden fees. Enjoy unlimited access to our online invoice creator and software cost free. Our goal is to get you paid, so we don't charge you a thing.